Setsuna loves snow like I do. I bet White Album 2 surpasses Dostoyevsky’s literature for sure. Well, Dostoyevsky novels are only words, so it lacks visual stimulations. 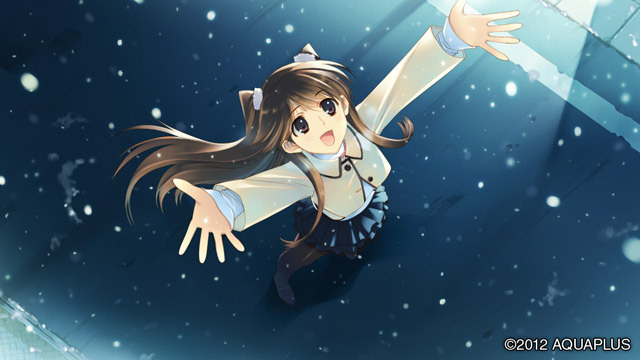 Pure novel was the best literature at that time, but right now, visual novel is the most advanced literature. Therefore, animepiphany moments of this year. The Garden of Words by Shinkai Makoto. That made me miss rain. 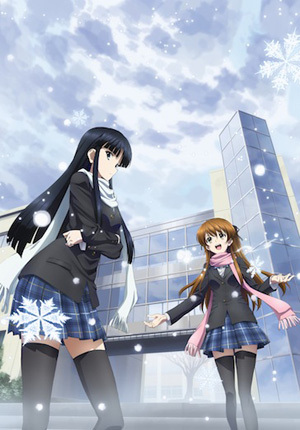 And White Album 2, that made me miss snow. Such dry desolate weather of SoCal.. So, as Haiku has seasonal words, Garden of Words becomes a seasonal word for rainy season (or tsuyu 梅雨 “Japanese apricot rain”). And White Album becomes a seasonal word for snowy season.